For a long-term contracted construction portable toilet rental costs, expect to pay between $175 and $500 per month to rent a standard porta potty. When asked about portable toilets and porta potties most people will be reminded of a time when they saw one of these small plastic restrooms at a construction job site. In fact, a construction job-site is one of the most common uses for portable sanitation equipment, especially porta potties. There are many reasons for this and when it comes to construction, the most obvious rationale is that there is usually a lack of onsite restrooms available for use by the workers. Even if nearby restrooms exist, the owner of these bathrooms may not be happy if a bunch a construction workers begin to use them daily. When operating a home construction site or new development construction site it’s important to think about minimizing your costs and maximizing your efficiency. Porta potties are a great way to help you meet this goal. 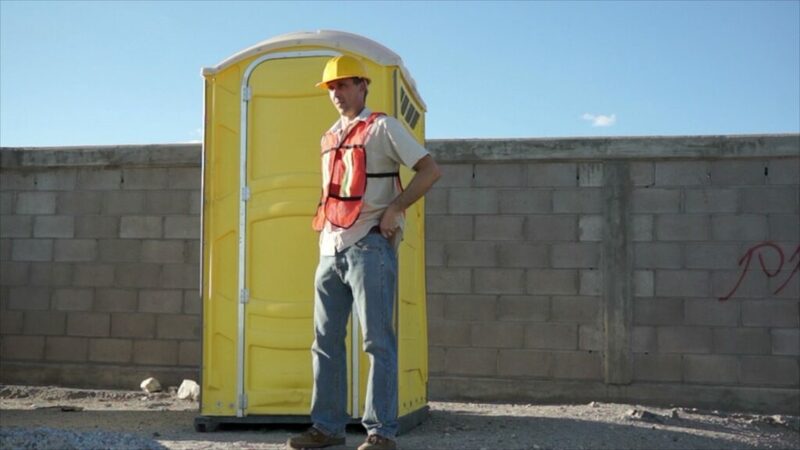 The fact is, long term porta potty rentals improve construction site safety by being nearby and improve efficiency by enabling the work crews to focus on getting their job done. This also minimizes disruptions to nearby businesses and residences. In addition to these things, it’s important to note that the portable toilet rental company is responsible for cleaning and maintaining the porta potties. This a big relief for construction foremen and managers as this task usually requires special equipment and training. Make your new home construction site, industrial job or any other construction jobsite easier with portable toilet rentals for construction. Went renting a porta potty for a construction site there are many factors to consider. 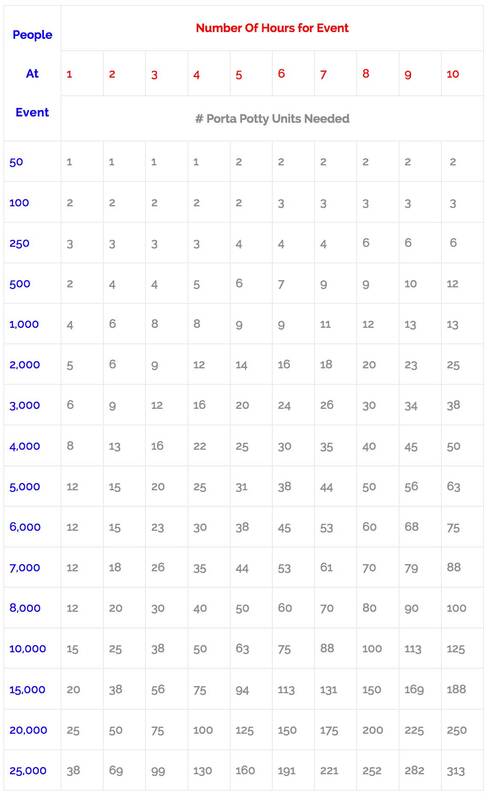 One of the primary factors you need to think about is how many units to rent and for how long. For a ten man crew working a standard work week a single porta potty should be sufficient to serve them. Construction projects that end up needing a porta potty usually are ones that last at least a few days or more. Keep in mind that the rental cost per day per unit will decrease the longer that the unit is rented for. If you need help determining how many units to rent, it’s best to consult your local portable sanitation dealer, such as VIP Rentals, as they typically have the experience and expertise to tell you exactly how many units you need. After you’ve determined the number of port-o-johns that you need (and how long you need them) you will also need to think about where the porta potties will be placed at the job site. For the safety of the delivery crew as well as the construction workers it’s important to locate units on flat, level ground away from vehicles and the action of the job site. The porta potties should also be placed in a high visibility area at a convenient distance from the work zone while also remaining accessible to the service truck that will come to clean the unit. How much will it cost to rent a porta potty? As you may have realized, all of these factors impact the cost to rent a portable toilet. With that said, you can expect to pay between $175 and $500 per month to rent a standard porta potty. This price includes the delivery, set up and removal of the porta potty as well as the industry standard weekly pumping/cleaning service. For a more accurate price please contact a local portable sanitation equipment rental company such as VIP Rentals.